Ella brings extensive social and ecological knowledge of a range of environmental issues to her role at First Person Consulting. 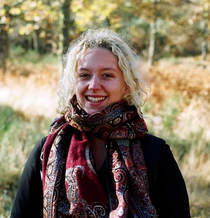 She has used creativity and developed data collection and critical analytical skills in a range of research roles, and is particularly interested in vulnerability, adaptability and resilience of ecological and social-ecological systems to climate change, as well as natural resource management (NRM), disaster resilience and social change. She has worked on a range of evaluation and social research projects in the areas of NRM, community engagement, and capacity building. Prior to joining First Person Consulting, Ella has worked in a variety of research, teaching and project-based roles. Her most recent role was as a teaching associate at the University of Melbourne in Environmental Politics and Disaster Resilient Cities. She has conducted research for both non-for profit and academia on a range of environmental issues, spanning climate change policy, conservation areas, international environmental negotiations, and ecological research into eucalypt growth responses. Ella has also previously worked in forest-safe paper certification and migration support programs. Ella holds a Master of Environment from the University of Melbourne, where she specialised in conservation and restoration. Her Masters research was on temperate Eucalypt growth responses to season, competition and other growth attributes. Prior to this Ella completed a Bachelor of Arts (Hons), in political and international studies/ancient world studies. She simultaneously completed a Diploma of Languages (Spanish). Her honours research focused on carbon markets and their applicability as a functioning climate change mitigation policy in a post-Paris COP21 political climate.